This article was originally published Jan. 11 and updated Jan. 22. A small group of Bayview-Hunters Point residents and local activists gathered outside the California State Building in San Francisco Monday, urging Gov. Gavin Newsom to dump a large Camp Fire cleanup contract recently awarded to a company accused of widespread fraud. In early January, a state disaster agency selected Tetra Tech, Inc. for a contract valued at about $250 million to remove debris from the massive area in Butte County destroyed by the November blaze. The decision, though, is being challenged by a range of community activists and local elected officials, who have raised serious concerns about the company's integrity. 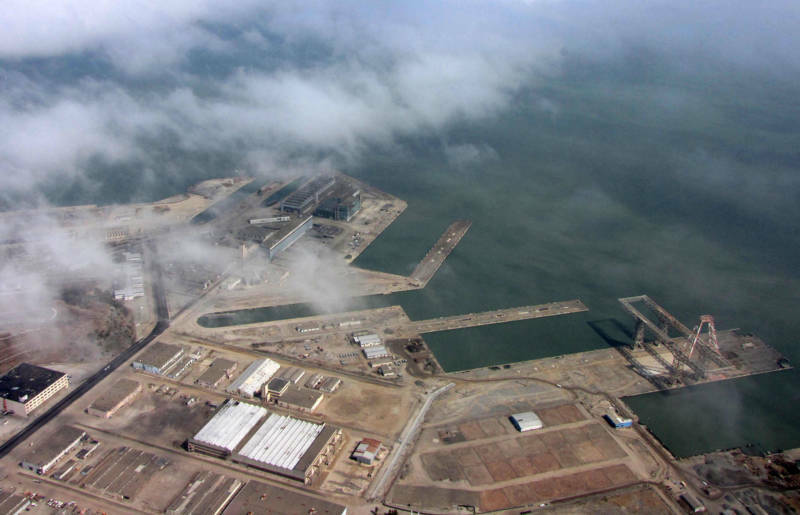 Tetra Tetra EC, a subsidiary of the larger firm, faces accusations that it falsified soil testing data at the former Hunters Point Naval Shipyard, where it was hired by the Navy more than 15 years ago — and paid upwards of $280 million — to remove radioactive material. Two former cleanup employees working for the subsidiary were sentenced to prison last year after admitting to fabricating soil testing results at the site. And last week, the U.S. Justice Department filed suit against the subsidiary, accusing its top managers of ordering employees to commit widespread fraud during the shipyard cleanup effort. “Tetra Tech’s fraud was initiated and directed by Tetra Tech’s corporate managers,” the Justice Department said in federal court documents filed last week. "The people in Butte County need to know that Tetra Tech defrauded Hunters Point," said Charles Bonner, an attorney who filed a class-action lawsuit against the company on behalf of Hunters Point residents in May and helped lead the rally on Monday. "They've defrauded other communities. And they will definitely defraud the people in Butte County ... They make money by taking the money and not doing the cleanup job." Hunters Point residents involved in the suit claim to have suffered major health impacts as a result of the company's fraudulent reporting. For its part, Tetra Tech, Inc., the parent company, has repeatedly denied wrongdoing at the former shipyard, arguing that any deception was committed by a few "rogue" employees employed by its subsidiary. CalRecyle, the state agency in charge of wildfire cleanup that selected the firm for the Camp Fire contract, said in a statement that it had determined the firm was both "responsive and responsible while offering CalRecycle the lowest project price." Tetra Tech, Inc. (the parent company) was awarded the job after a competitive public bidding process. Gov. Newsom's office hasn't officially responded to concerns about the Tetra Tech contract, but a spokesman noted the contract was awarded under the previous administration and that, regardless, the governor does not have the unilateral authority to cancel state contracts. He also noted that only two firms submitted bids for the contract, given the dearth of companies that take on this degree of cleanup work. 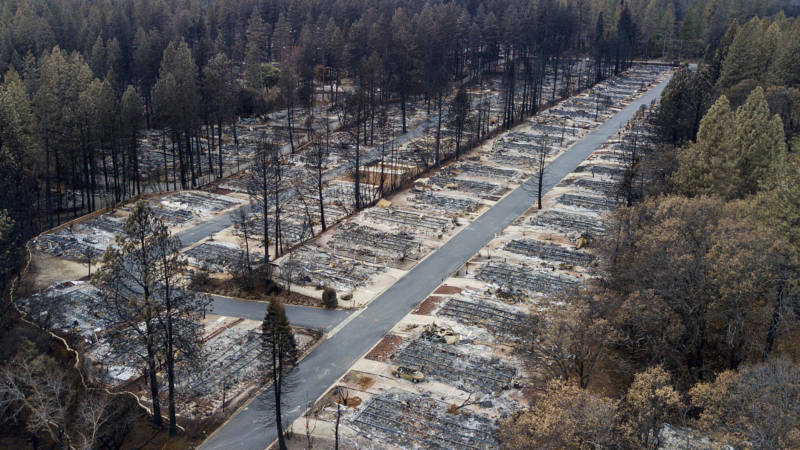 November's Camp Fire, the most destructive wildfire ever recorded in California, killed 85 people and destroyed nearly 14,000 homes in and around the foothill town of Paradise. Cleanup of the 240-square-mile area charred by the fire will be a massive undertaking, involving the removal of millions of tons of debris and potentially toxic material, in what is expected to ultimately cost upwards of $3 billion. As the San Francisco Chronicle recently reported, CalRecycle has leaned heavily on Tetra Tech, the parent company, in the past year for help with other fire cleanups. Its crews have been sent to remove debris following the Carr Fire in Shasta County (a $14.4 million contract) and the Mendocino Complex Fire ($1.5 million). The current $250 million job, though, is the largest single award for wildfire cleanup CalRecycle has doled out. San Francisco Supervisor Shamann Walton, who represents the Bayview-Hunters Point neighborhood, called the decision to hire Tetra Tech shocking. "It’s a little bit troublesome that an entity that definitely was caught being fraudulent has another opportunity to be rewarded with a contract and to continue to oversee and do some of the testing in other areas in our state," he said . "I can tell you that I will do everything in my power to make sure Tetra Tech never has an opportunity to work here in San Francisco."